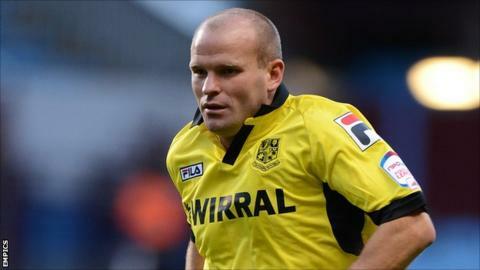 Andy Robinson says the role played by manager Ronnie Moore in Tranmere's stunning start to the League One season should not be overlooked. The former Rotherham boss has won 13 of his 24 matches in charge since returning to Prenton Park in March. And Rovers have a three-point lead at the top of the table. "He's been first class since he came back and the results don't lie," 32-year-old midfielder Robinson told BBC Radio Merseyside. "He installed that belief in us when he came in, which we needed, and we've kicked on from that. "We had a good pre-season and we kept everyone fit barring Ian Goodison. We're looking fresh and we're winning football games. "That's down to the gaffer, the coaching staff and the players that are going out there wearing the shirt." Tranmere are unbeaten in the league this season and are currently the Football League's joint-top goalscorers with 21 alongside League Two outfit Port Vale.